We've just concluded a wonderful multi-site tribute to our old friend and former site staff member Mike Martinez. 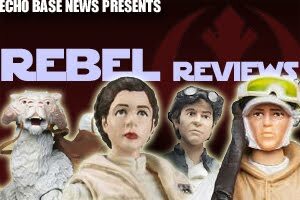 Echo Base News, Yakface, and Imperial Shipyards teamed up to celebrate Mike and the impact he left on the Star Wars customizing hobby, and we received sixty amazing entries! Click here to enter the forums and check out all of the entries and see who's won some fabulous prizes! We'd like to thank everyone who participated in this as well as our friends from Yakface and Imperial Shipyards for helping us make this very special event a reality.